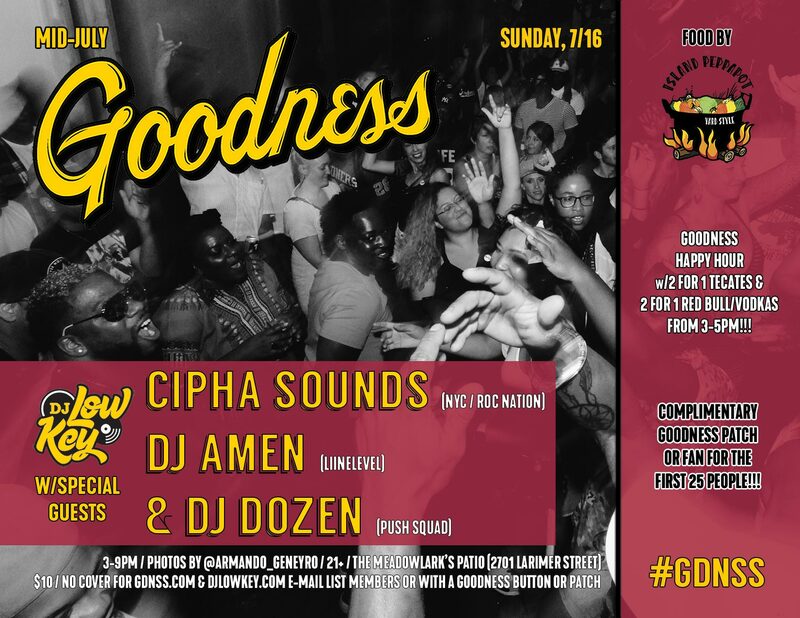 Sunday, 7/16 at 3pm -> Goodness w/DJ Low Key and special guests Cipha Sounds (NYC/Roc Nation), DJ Amen (LiineLevel) & DJ Dozen (Push Squad)! 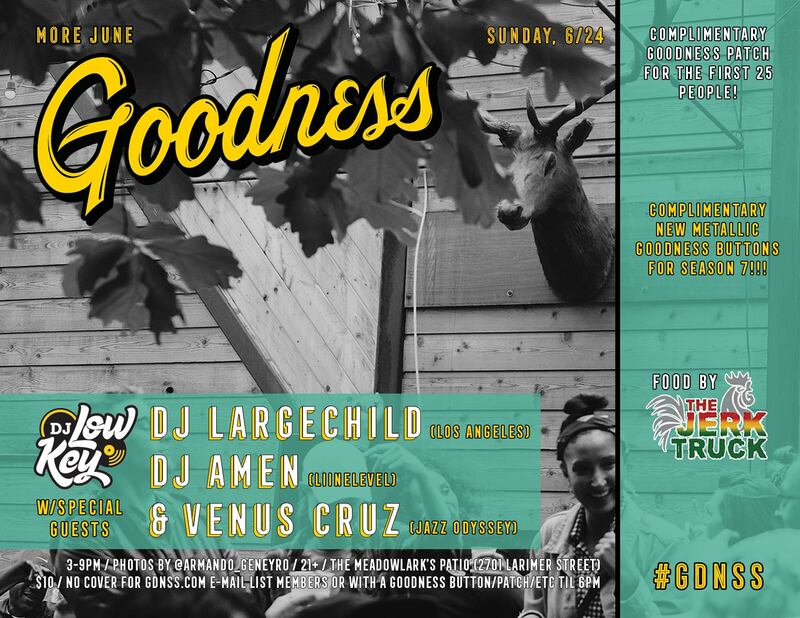 Food by Island Peppapot, happy hour from 3-5pm, photos by IG: @Armando_Geneyro, complimentary Goodness fan or patch for the first 25 people & more on The Meadowlark’s magical patio!!! P.S. Only 8 Sundays of #GDNSS left on calendar, don’t miss a single one!! !